I’m always showing up here on my one day a month to blog and boss you guys around. I have this weird tic as a reader, this thing that pulls me out of stories faster than anything else. It is a manifestation of my inner oddness and not a failing of the lovely authors producing the books, and yet . . . I bet I’m not the only one. This is the tic: I can’t deal with names that don’t fit. Now, I accept, grudgingly, that there will be a different set of rules for fantasy and science fiction. If you’re reading a high fantasy and some mage named Brandon shows up to confront the sorceress Melissa, well . . . that doesn’t work. So go on with your Seftins and Morlocks and Jeezels or what have you. I do NOT accept that these characters must have names absent vowels. You know. Like Grxtr. But I get that it’s a futile battle, and I’m not the boss of high fantasy, so I’ll say this once and spend the rest of my rant energy elsewhere: you kick some, probably a lot, of readers out of your story for a brief moment every time you give them something they can’t just sound out. I am a precise sort of person. It bothers me to read a thousand page book never feeling quite sure I’m pronouncing the main character’s name correctly in my head. Vowels help, people. They at least give readers like me a sense of security that we’ve made a fairly accurate guess. I don’t know WHAT to do with Grxtr. But I don’t go traveling into fantasy as often as I do the here and now. So let’s talk contemporary, and the lesser and greater naming sins. The lesser naming sin is coming up with too many unusual names, no matter how pronounceable they are. Neveah is a cool name. So is Serayah. And Holland. And Ainsley. But if those are ALL your main characters? It doesn’t work so well. In fact, you’ll sound like you’re reading off the roll in my daughter’s kindergarten class. Ditto goes for traditional names with unusual spellings. These are cool. Really cool, actually. But too many in a story are distracting. So use your Kolins, Haylees, Braidyns, and Karlies sparingly. They are spice, not the main dish. 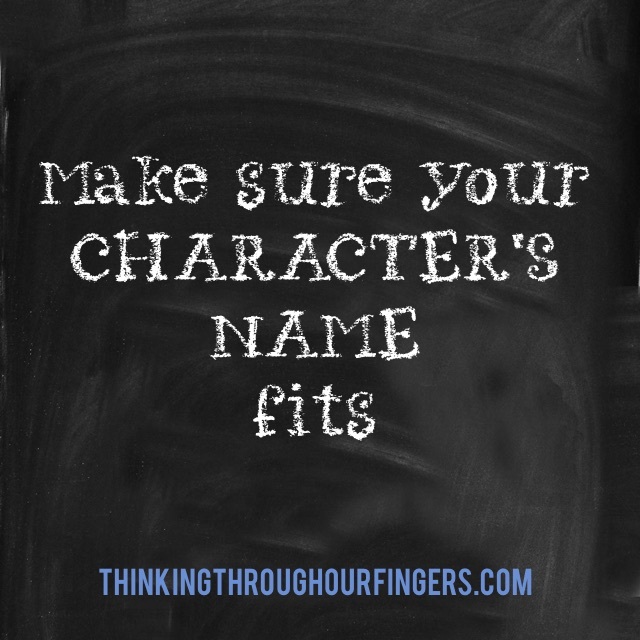 The greater naming sin is choosing the wrong names for the ages of your characters. This seems like a little thing, but if I’m reading about a bunch of present day high school sophomores, it would be rare for them to be Mildred, Agnes, and Gertrude. It would also be rare for them to be Churck, Larry, Linda, or even Karen. Those names are of a time. You know what other names are now of a time that would NOT be high school kids? Jennifer. Lisa. And so on. Adults need the right names too. THEY are your Lindas and Lisas. 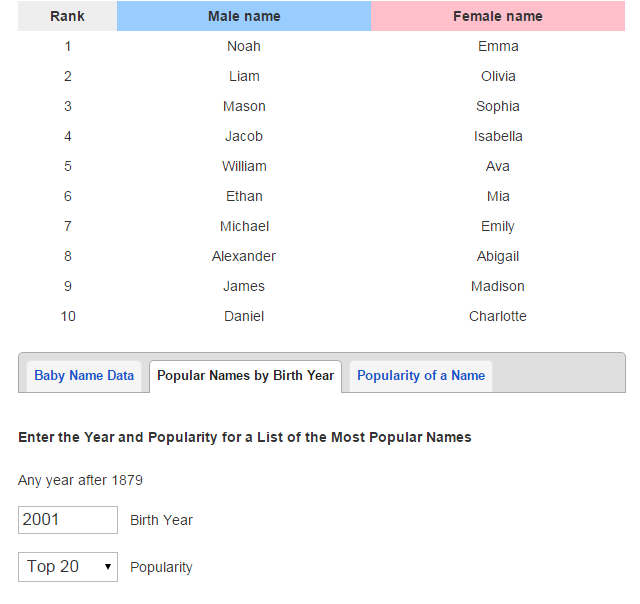 One of the simplest and easiest tools for figuring out if your name works or not is to go the Social Security Database. Oooh, sounds scary! It’s not! And I can keep digging! 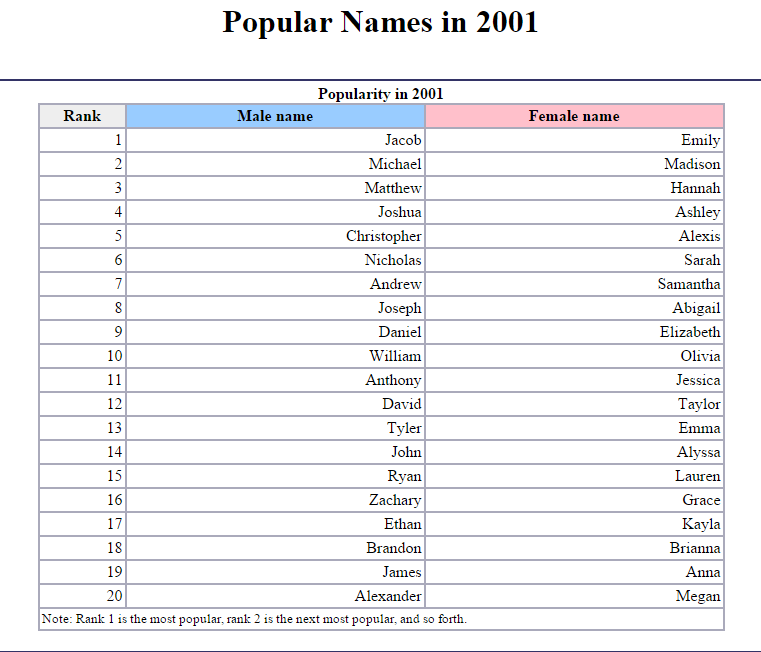 I can look at the top 100 names and find something I like, if I want to, of course. And by “I” I mean you. Why does it even matter? If you choose a name TOO of its time, you risk dating your book. If you try to go too timeless, you can end up just being old-fashioned. It’s good to have a mix of the trendy with the classic, but heavier on the classic, using the trendier names as the spice. Did I mention that? Not too much, people. Don’t over salt! This now concludes me being your writing mother for the month. Melanie Bennett Jacobson is an avid reader, amateur cook, and champion shopper. She consumes astonishing amounts of chocolate, chick flicks, and romance novels. She lives in Southern California with her husband and three kids and a series of doomed houseplants. Melanie is a former English teacher who loves to laugh and make others laugh. In her down time (ha! ), she writes romantic comedies for Covenant and maintains her humorous slice-of-life blog. 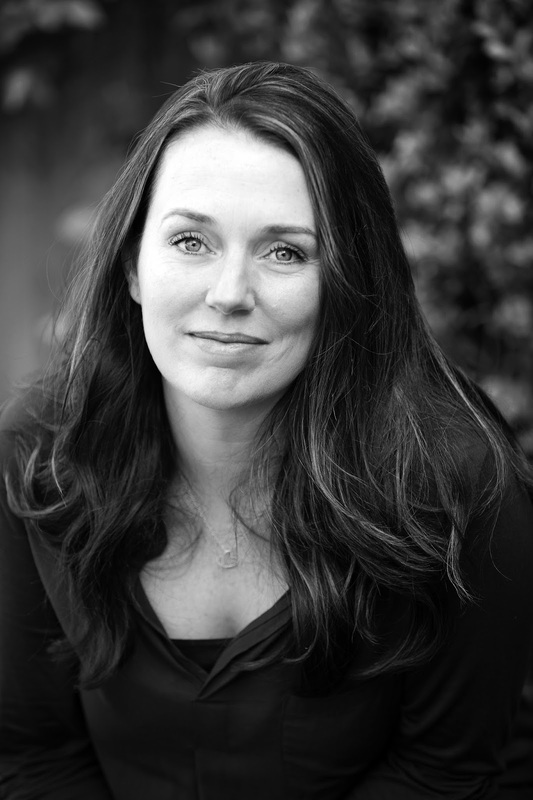 Her sixth novel, Always Will, hits shelves in October. Melanie’s contemporary YA novels are represented by Alyssa Henkin. I use the Social Security website all the time. It's a great resource. 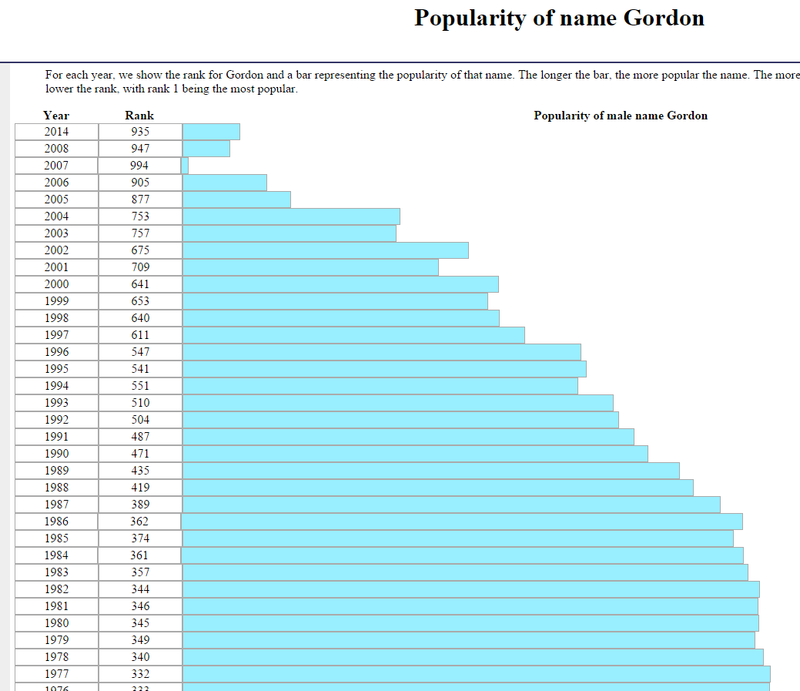 The baby naming sites are good too, but they're sometimes overwhelming with all the pages and pages of names they spit out. Hahaha. That's terrible. I wrote a book where the kids were named Pepper, Ginger, Rosemary, Cory (short for Coriander) and Mace. But it was because their last name was Spicer and it was sort of joke their parents did to be funny in that you're-stuck-with-it-for-the-rest-of-your-life kind of way.